Winter carp tips - 8 hints to catch carp quicker in the cold! CATCH carp in double quick time with these 8 winter carp tips from Angler's Mail columnist Colin Davidson. Winter carp tips are many and varied…but nearly all carpers accept that winter is a difficult time to catch carp. There is a strong argument for seeking out more generously stocked venues to enjoy a bit of sport, rather than sitting it out for months on venues where you might realistically blank for four months. Catching carp is why we go carp fishing, so check out the Angler’s Mail print magazine Where to Fish guide and put yourself on a venue where carp are being caught regularly. The fish might be smaller than on your usual venues but if you are catching you should be enjoying, and also learning. What’s not to like? Pop-ups come into their own in colder weather, standing out more to nearby carp than baits on the bottom. They also offer presentation advantages. Where autumn winds have left areas of the lake bed covered with leaves and fallen twigs or weed is dying back a bottom bait rig is often hopeless. 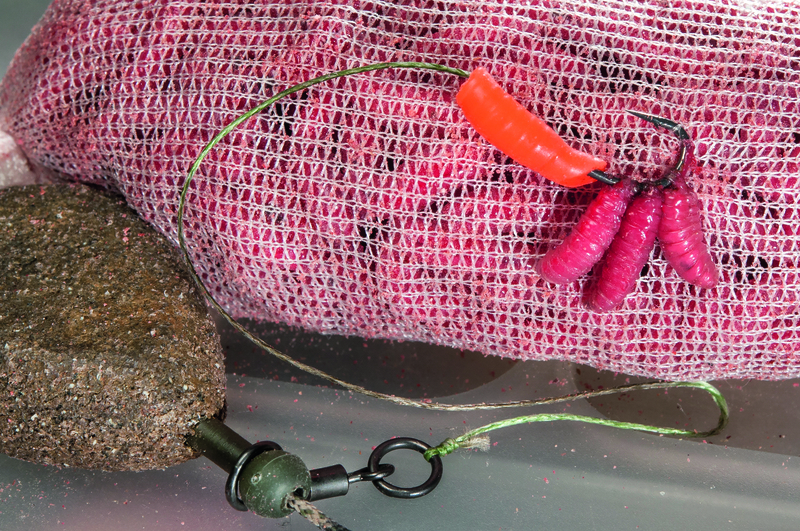 A good pop-up rig can be cast almost anywhere and stands a good chance of presenting a hook bait effectively. Pop-ups tend to get a fast response – carp often taking them quickly if they land nearby. If numbers of nuisance fish allow, maggots are the ultimate winter carp bait. No matter how foul the weather, carp continue to eat maggots with enthusiasm, and on the right venue they can give you the sport of your life even when a pop-up or boilie might produce little or no interest. Learn to fish the Mag-Aligner, with a thumping great PVA bag of maggots and two grubs nicked direct on a very small hook. If you can find waters where you aren’t pestered by roach and perch, your winter carp fishing will never be the same again. The difference between going home with a carp or two under your belt and sitting getting cold and fed up is often just being prepared to move swims. It’s one of those winter carp tips that some anglers simply will not heed! On fisheries containing good numbers of carp, if your indicators have shown no signs of life and you have seen no signs of carp, there’s a good chance you’re not in a swim containing any fish. Always be prepared to move swims, especially if active carp can be seen elsewhere. This is one my my key winter carp tips. You can catch a carp in minutes in the right spot, but waste days and days in the wrong swim. Are you a weather watcher? It’s never set in stone how carp will react to conditions. Sometimes the most awful cold winds from the east and north can see carp go on the feed. But generally, the milder or more settled the weather the better your chances, so picking your times to fish is common sense. The golden rule isn’t to check daytime temperatures it’s to study the night-time lows. If you have a milder night or two it’s odds on the carp will respond and be much more catchable without the crippling temperature drops. 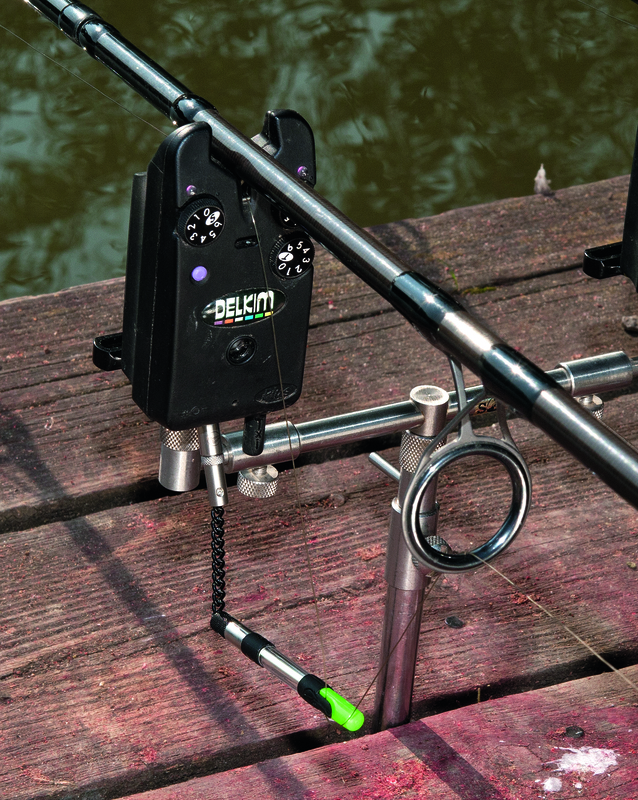 Your indicators are a vital tool in tracking down where you might catch winter carp. Even when carp aren’t active and showing, they have to be sat somewhere. Your main line becomes a brilliant location tool, because it stretches through large areas of the lake, and if it settles amongst a number of carp you will get line bites. Fish your indicators slack, and always watch very carefully where the line enters the water after you sink the line following a recast. If there is any pulling tight and dropping slack your line is running through an area carp are sitting in numbers. Sandwich the area either side with your other rods! 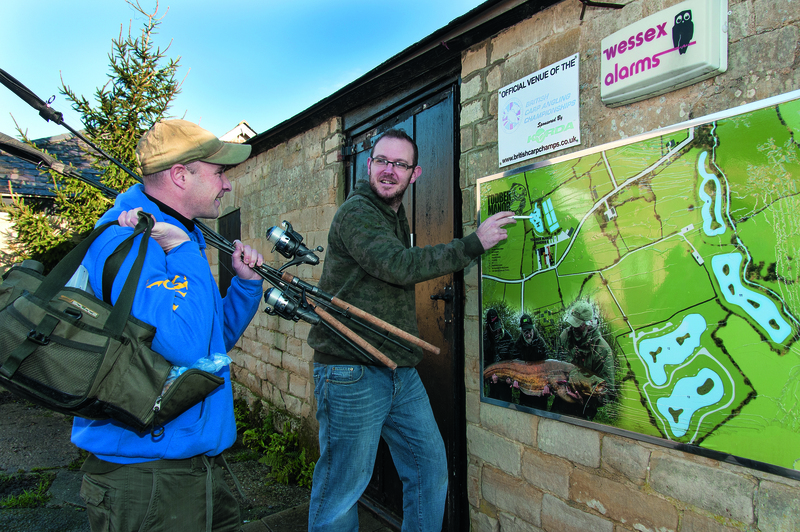 You might not be catching but what else goes on around you can be a big help tracking down and catching winter carp. Have you seen anyone else catching carp? Have you heard about any captures recently? 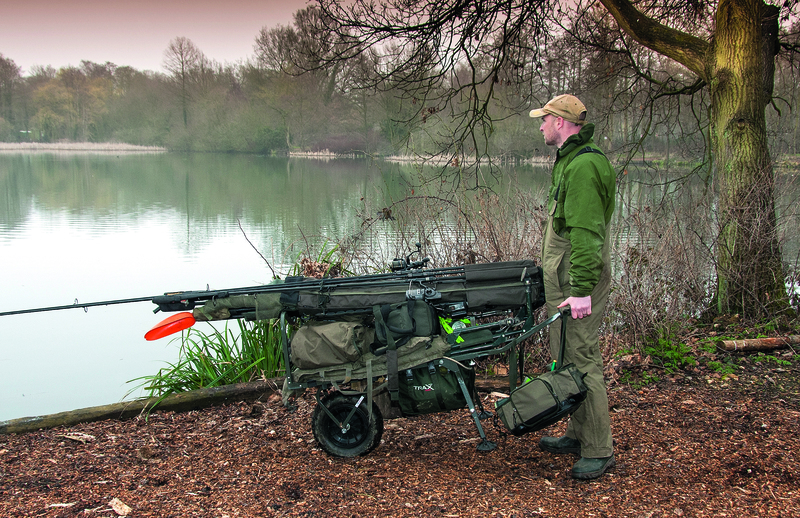 A fishery boss, bailiff or fellow carper on the bank can give you quite a lot of information that might help you pick a peg with a bit more winter form, rather than playing the guesswork game by yourself. Some areas of lakes do produce in cold weather, others are much less reliable. Look, listen and find out which is which. Heavily used they may be, but it’s impossible to ignore the ability of bright, fluoro baits to catch carp. They work all year but when the temperatures are low, bright, highly flavoured pop-ups can be enough to bring some interest from fish that ignore other offerings. 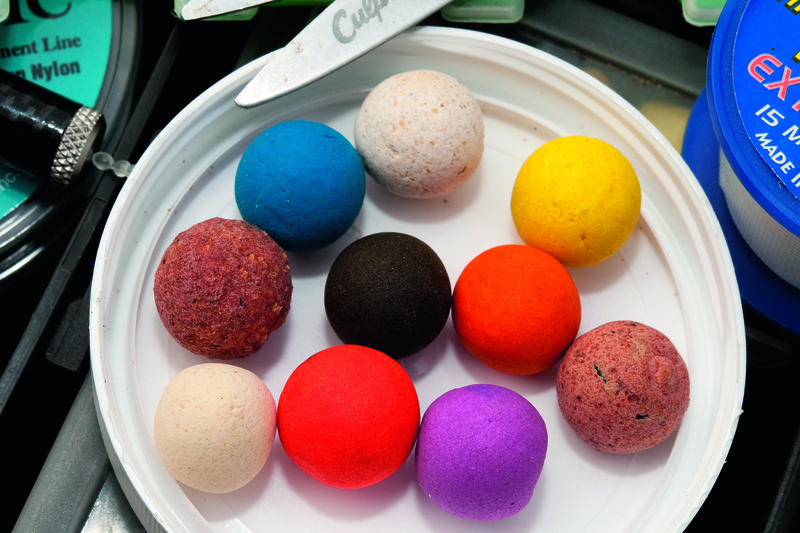 The killer colours are white and bright pink – neither tend to wash out or lose their colour in water, meaning they are still nice and bright to attract an interested carp even if you leave them out all night. CAUGHT A BIG FISH? Email pictures and details to: anglersmail@timeinc.com – you could star in the weekly Angler’s Mail print magazine. GET MORE AUTUMN AND WINTER CARP TIPS EVERY WEEK IN ANGLER’S MAIL PRINT MAGAZINE!